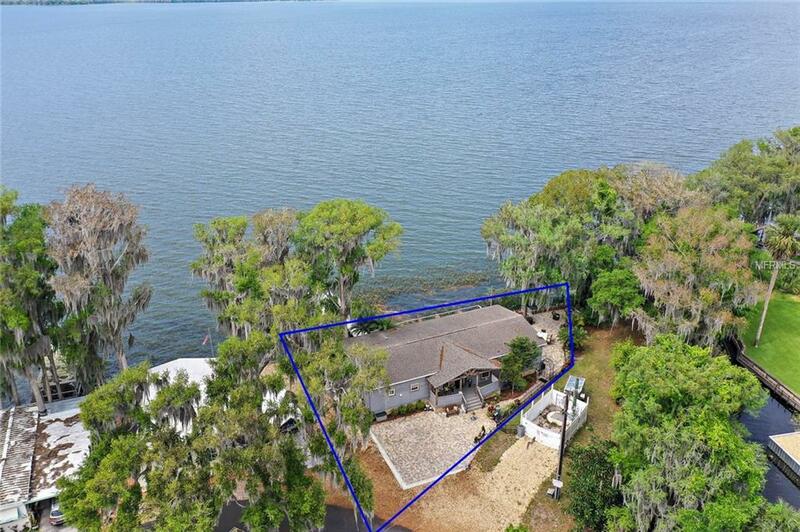 GORGEOUS 3 BR HOME WITH EVERY UPGRADE INCLUDING BOATHOUSE WITH DIRECT LAKE EUSTIS CHAIN OF LAKES FRONTAGE. 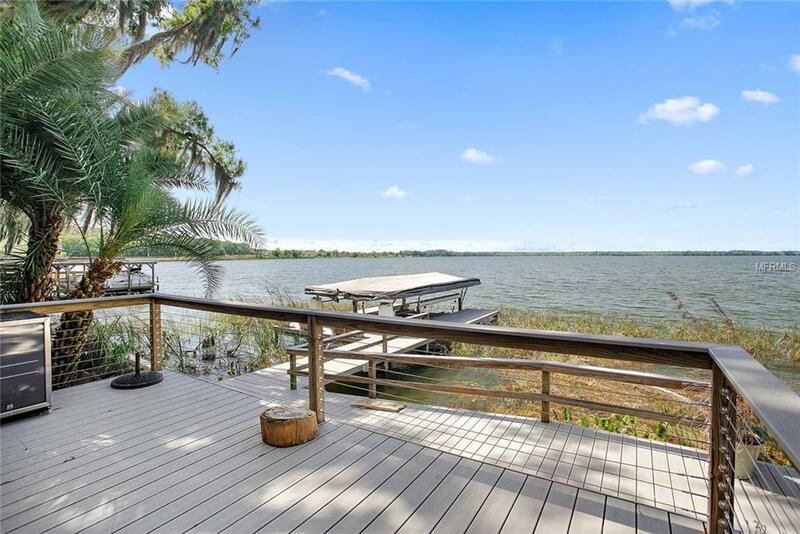 Live the tropical Florida lifestyle youve always dreamed of in this stunning, designer lake house with panoramic lake views! Brick paver driveway and 30 amp RV hook-up. Attractive, low maintenance vinyl cedar shakes, cedar wood beam porch gable and cedar trimmed Anderson windows for a coastal cottage feel. Trex decking on front porch, back decks, and boathouse. 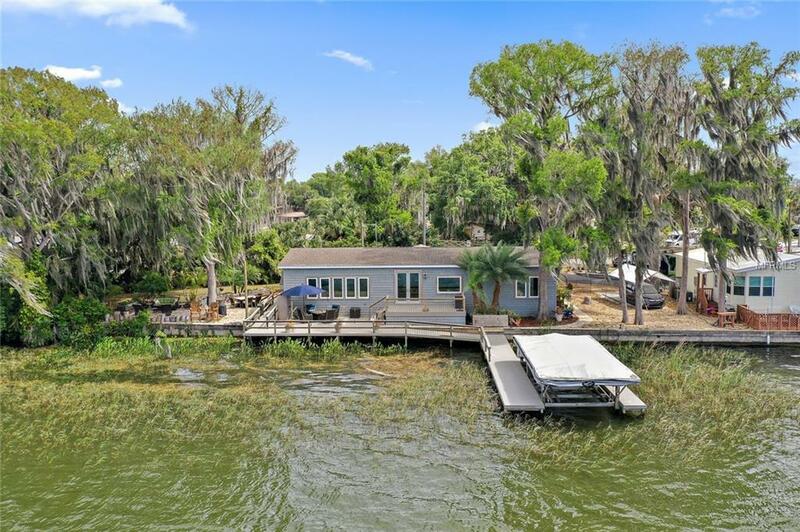 Enjoy panoramic lake views throughout this open concept floor plan with a spacious living room, dining room, kitchen and family room. 9 Ft. ceilings, crown molding, wide baseboards, wood-cased windows, Tommy Bahama ceiling fans, designer window shades, and Plantation shutters. Stunning wood floors throughout with travertine in baths. 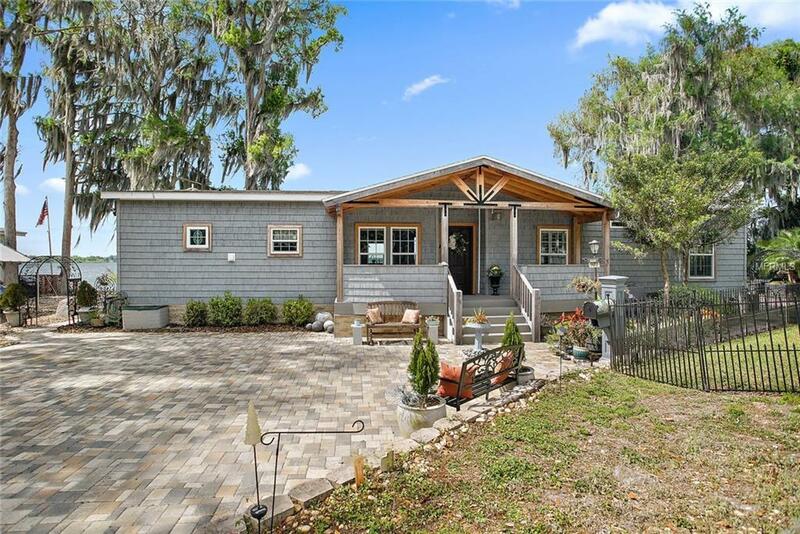 Kitchen with custom wood cabinetry, storage drawers, lazy susan, granite counters, butcher block prep island, tiled backsplash, breakfast bar, wine-frig, stainless appliances, 5-burner gas stove and electric convection oven. Multiple French doors with remote control shades lead to a huge paver sun patio, 2-tier deck, and boathouse with remote control cover and boat hoist. 13x15 master BR with private spa-bath. 2 glass vessel sinks set on a rare granite slab with custom wood cabinetry. Travertine floors and shower with river stone shower floor. California walk-in closet. 2 guest BRs share full bath similar to master. 8x10 laundry/storage room. Nest thermostat, ADT, Ring, on-demand water heater and so much more!